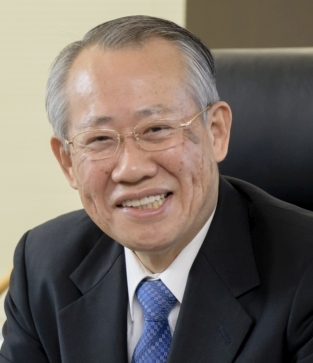 Ryoichi Ueda assumed his post as president of NHK on January 25th, 2017, after serving as NHK’s member of the Board of Governors and the Audit Committee for 4 years since 2013. In 1973 Ueda started his career at Mitsubishi Corporation (MC). From 2008 he served as Executive Vice President of MC for the Americas, then in 2009 appointed as CFO and Representative Director of the Board of Directors of MC. From 2010 to 2013, he served as Senior Executive Vice President. In 2013 he resigned from MC to join NHK. Born in 1949, he graduated from Hitotsubashi University’s Faculty of Law, and holds an MBA from INSEAD in Fontainebleau, France. He is married and has three daughters. Supriya Sahu is a senior Indian Administrative Service officer. Presently, she is heading Doordarshan, the National Television Network and the Public Service Broadcaster of India. Before joining Doordarshan she was Joint Secretary in the Ministry of Information and Broadcasting. She worked extensively with Doordarshan and All India Radio on the expansion and modernisation of their network. She also handled the allocation of planned programmes of Prasar Bharati, including content funding. Supriya Sahu was awarded the Best Collector Award and the Green Award by the Government of Tamil Nadu, India. She was elected ABU Vice President in October 2016 at the 53rd ABU General Assembly in Bali, Indonesia. Mr SUN Yusheng is currently the Vice President of CCTV, the Executive Vice President of China Global Television Network (CGTN) and the Chairman of China Global Television Network Corporation. He was elected Vice President of the ABU on 4 November 2017 in Chengdu, China at the ABU 54th General Assembly. His term will be for 3 years with immediate effect. After graduating from Jilin University, he started his journalism career in China Central Television (CCTV) in 1984. As from 1997 he is supervising the public signal production and the live TV coverage of the important events, such as Hong Kong’s Return, Macao’s Return, National Day Military Parade, Encounter in the Millennium, the Belt and Road Forum for International Cooperation and the BRICS Summit. His publications include Ten Years - a monograph on TV news theory. İbrahim EREN was appointed as the Chairman and Director General of Turkish Radio Television Corporation (TRT) in July 2017 following his post as Deputy Director General of TRT as of July 2013. As he took office at TRT, Eren launched TRT World, the first international news channel of Turkey as well as undersigning many national projects (TV dramas) which are widely watched in Turkey and other countries, and also initiated mini-series. Before joining TRT Mr Eren held the position of Deputy Director General of ATV. He graduated from the Department of Political Science and International Relations of Bogazici University and holds a master’s degree in Media Management from University of Westminster in London. Mr Eren is a member of the Board of Directors at Turk Telekom, a member of the European Broadcasting Union (EBU) Executive Board and a member (Director) of International Academy of Television Arts and Sciences. Eren is married with three children. Dr Javad Mottaghi is the Secretary-General of the ABU. He was appointed on 8 January 2010 and assumed office on 3 May 2010. Before joining the ABU, he was Director of the Asia-Pacific Institute for Broadcasting Development (AIBD) for 12 years.